WASHINGTON — One of the Navy SEALs being investigated in the death of a Green Beret in Africa told a witness that he "choked [him] out" in the pre-dawn hours of June 4 and that he and another SEAL were out "to get back" at the victim for a perceived offense that night, according to documents from an Army investigation obtained by NBC News. Navy SEAL Tony DeDolph, 38, initially told investigators that he was wrestling with Army Staff Sgt. Logan Melgar in Melgar's room at 4 a.m. when fellow SEAL Adamcranston Matthews entered the room. Then, according to DeDolph and Matthews, the three fell onto Melgar's bed, with Matthews on top of Melgar. 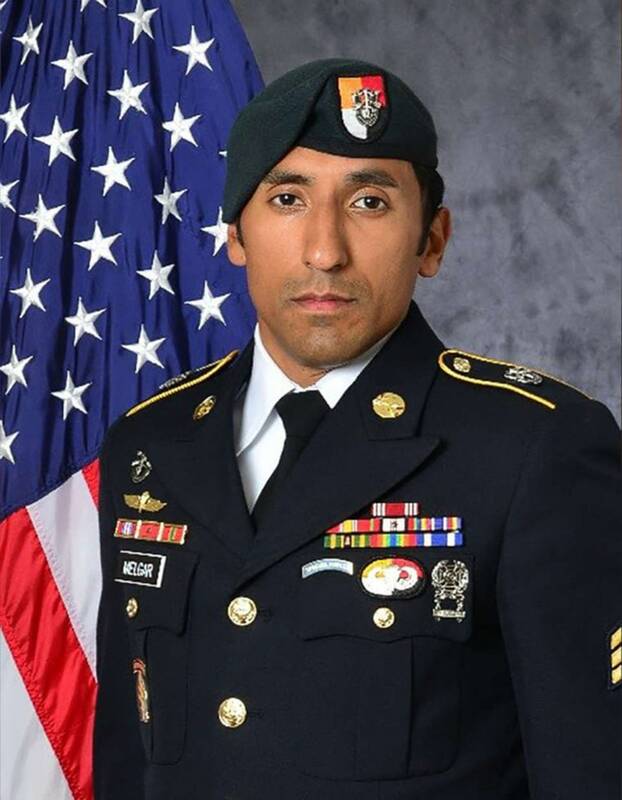 Once the SEALs got off of Melgar, according to the account they gave investigators, they realized he wasn't breathing and attempted CPR and tried to open up an air path in his throat. The SEALs' account, which appears in the Army Criminal Investigative Command's preliminary investigative report dated Sept. 15, suggests a moment of horseplay gone wrong. But a third witness told investigators that DeDolph and Matthews were among several individuals who were upset with Melgar "after they felt he intentionally tried to evade them while he was driving to a party." That night, the group made "numerous comments" on how "to get back" at Melgar, according to the witness quoted in the document. After Melgar's death, according to the document, "DeDolph admitted to the witness that he 'choked Logan out.'" The witness also said that DeDolph indicated he and Matthews "and possibly other individuals" had used "duct tape" on Melgar, but had left that out of their interviews about the death because they were afraid it would be considered hazing. The new information comes after the Daily Beast reported Sunday that Melgar had discovered that the SEALs were pocketing money from a counterterrorism fund that was used to pay local informants for information. The Pentagon did not address the specific accusations in the Daily Beast report, but Col. Rob Manning, a Pentagon spokesman, said, "I caution against speculating about this incident before the full investigation is complete." The former head of special operations in Africa told NBC News that special operators do have access to cash on the ground in countries like Mali. "All our special operation forces have access to funds in order for them to be able to provide subsistence to themselves and do other operational requirements as long as it's in their authority to do so," said Ret. Brig. Gen. Donald Bolduc. "If true that the Navy SEALs were involved in the death of Staff Sgt. Melgar, this is something that would be a huge tragedy and something that I have not witnessed in my entire career," he said. NBC News attempted to leave messages for relatives of both SEALs, but they could not be reached for comment. The Navy Criminal Investigative Service referred questions to the Navy's Special Warfare Development Group in Virginia Beach, the home base of the two SEALs, which did not immediately respond to a request for comment.